2 TONE WITH BLACK ROOF! NEW SERIES 2 VITARA! BETTER THAN EVER! 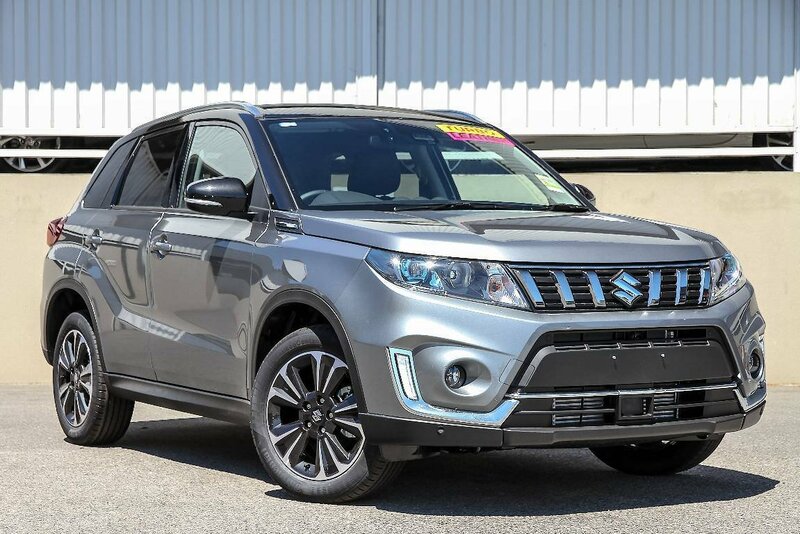 WITH CLASS LEADING SAFETY OF ADVANCED FORWARD DETECTION SYSTEM, WHICH INTEGRATES TECHNOLOGY LIKE AUTONOMOUS EMERGENCY BRAKING, COLLISION ALERT, LANE DEPARTURE WARNING, WEAVING ALERT, ADAPTIVE CRUISE CONTROL, REAR CROSS TRAFFIC ALERT AND SIZE BLIND ZONE ALERT, THE BAR HAS BEEN LIFTED FURTHER. NEW FACELIFTED MODEL WITH A HIGH-PROFILE GRILLE, SPORTY ALLOY WHEELS AND LED HEAD AND TAIL LIGHTS- THIS CAR IS 100 PERCENT GOING TO IMPRESS. THE REFINED, SPACIOUS INTERIOR IS A SPECIAL PLACE TO BE. ADVANCED FEATURES, QUALITY CRAFTSMANSHIP AND SPORTY STYLE FEATURE THROUGHOUT. A 7-INCH MULTIMEDIA TOUCHSCREEN INTEGRATES SATELLITE NAVIGATION AND REVERSING CAMERA, PLUS CONNECTIVITY TO APPLE CARPLAY AND ANDROID AUTO. ADD DIGITAL CLIMATE CONTROL AND COMFORT IS EXCEPTIONAL. A NEW SOFT PAD INSTRUMENT PANEL AND FRONT SLIDING ARM REST ENSURES A PREMIUM FEEL AND A NEW 4.2INCH MULTI-INFORMATION COLOUR LCD DISPLAY INFORMS THE DRIVER WITH DATA ON VEHICLE BEHAVOUR AND OPERATION. WITH CAPPED PRICE SERVICING FOR 5 YEARS, YOU WILL GET A PEACE OF MIND OF A 5 YEAR140,000KMS WARRANTY AND 5 YEARS ROADSIDE ASSISTANCE PROVIDING FACTORY SERVICE SCHEDULE IS MET AT AUTHORISED SUZUKI SERVICE CENTERS. , COME AND SEE WHY WE ARE WESTERN AUSTRALIAS NO1 SELLING SUZUKI DEALER 10 YEARS AND COUNTING and WINNER OF DEALER EXCELLENCE AWARD 5 YEARS IN A ROW!! DONT SETTLE FOR ANY LESS! With a massive undercover display, were WEATHER PROOF and have OVER 300 cars for you to choose from. COME TO US or LET US COME TO YOU- we want your trades and offer very competitive finance packages- our highly trained non-pushy staff will cater for your motoring needs! We also offer an exclusive 3 year COMPLIMENTARY mechanical plan ON TOP of the factory 5 year warranty- THATS A MASSIVE 8 YEARS PEACE OF MIND!